While my relationship with the traditional, PC style adventure game genre is contentious at best, there have been a sizably number of adventure games that don’t quite fit that mold, but that do definitely scratch an itch for me. Most of them are for the DS. Ghost Trick: Phantom Detective may be the best of the lot. Ghost Trick is very obviously made by the same people behind the Ace Attorney series. They share a dark yet whacky tone, flitting seamlessly from slapstick to grimness. 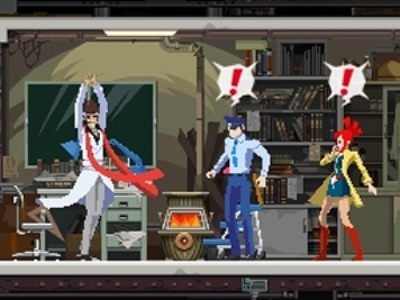 While Ghost Trick is about people being murdered and trying to unravel a conspiracy that has ended the life of numerous people, the characters spend a lot of time joking around. It can be jarring at first, but after a few minutes the tone becomes easier to read. 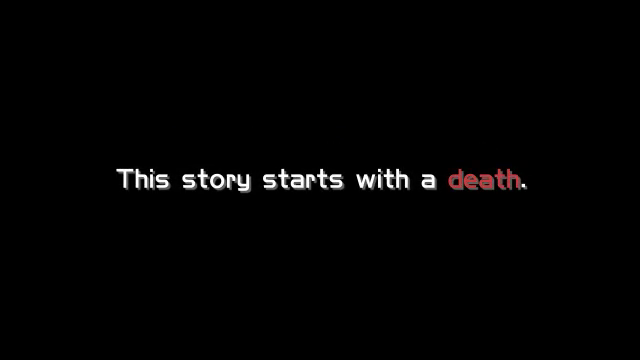 It is certainly helped by some of the best writing in the video game industry. Most adventure games lose me because I’m never quite sure of my goals. Oftentimes being able to sole a problem requires knowing well in advance that problem exists. Ghost Trick’s unique play systems avoid this problem. While the sorts of puzzles the player faces are largely the same, Ghost Trick presents players with a focused, limited set of options and leaves the player to solve it from there. It is probably easier, but it doesn’t necessarily feel easier. It does a great job of making the player feel like they’ve passed a humongous, difficult trial, whether they have or not. The closest thing to a problem I can point to is something entirely subjective. I do not like the cast of Ghost Trick as much as the cast of Ace Attorney. I only bring it up because many of the characters have direct analogs. Sissel is not much different from Phoenix, Lynne is much like Maya, etc. It really isn’t a problem, just one way that I liked another, similar game better. Ghost Trick is a great game. Plain and simple. This is the kind of game that made the DS the best video game system. It is a mostly unique, wonderful experience. Play it. Reading this makes me sad that I no longer have my DS. However, there’s always chance that I may pick up another at some point down the road. This sounds like a really fun game, so onto my future playlist it goes. Thanks!